Tranmere Rovers will be hoping to surpass League One outfit Peterborough in the first-round of the FA Cup next week, and in this article we’ll look at each of the last five meetings between Rovers and potential second-round opponents, Woking FC. 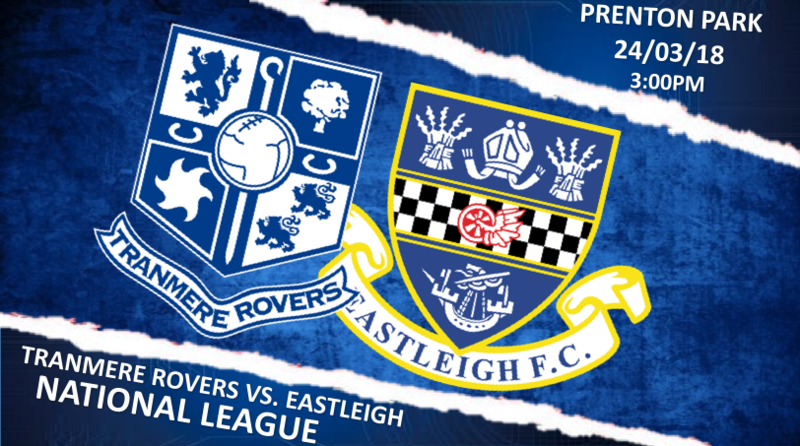 Rovers made the best possible start to their return to the Football League, edging past the visitors in what was an evenly contested match on the whole. Jay Harris’ goal on 58 minutes was enough for the Super Whites in the end, despite a late attacking onslaught from Woking. The visitors had seven corners in total, but failed to register any clear-cut chances from those set-pieces. The win was arguably a deserved one for Rovers, as Gary Brabin claimed his first domestic victory as manager of the club. Gary Brabin’s side were left very frustrated on an afternoon where Tranmere Rovers were left to rue several missed chances. The hosts were clinical in front of goal and claimed revenge after a 1-0 defeat at Prenton Park in August. Goals from Joe Quigley, John Goddard and a brace from Dan Holman were enough to inflict the Super Whites’ worst defeat of the season at that time. A late consolation goal from James Norwood in stoppage time counted for nothing, in a game that Rovers had 20 shots, compared to Woking’s 14. The Super Whites claimed all three points at Prenton Park in what was a thrilling encounter against Woking FC. The victory meant that Rovers moved up into fourth place in the National League table. Two goals from striker Andy Cook and a second-half header from James Norwood was enough to brush the visitors aside, as a 4,214 strong Prenton Park crowd roared on the side to victory. Woking were left frustrated as Keiran Murtagh’s penalty was saved by Rovers goalkeeper Scott Davies, and things got even worse for them when Joey Jones received a straight red card in injury time. Norwood missed the chance to make it 4-1 as he failed to convert his penalty. Ben Tollitt’s brace signed off January 2017 in style for Rovers as they moved up into third place in the Vanarama National League table. Andy Cook opened the scoring on 55 minutes before Tollitt ran riot on the Woking defence, with one effort from 25-yards and another that started from an individual run inside his own half. The Super Whites travelled down south following two successive domestic loses, and this victory at the Kingfield Stadium was the perfect response from Micky Mellon’s side. Rovers’ first home fixture of the 2017-18 season couldn’t have gone any in terms of both the performance and result. Two first-half goals for the hosts came from Andy Cook and Olly Norburn, before Charlie Carter pegged one back just before half-time. After a somewhat nervy start to the second-half, Rovers eventually found their feet again and were rewarded on 67 minutes as Jay McEverley headed home from a Jack Dunn corner. Micky Mellon’s side were effectively home and dry following the third goal, as both sides tailed off towards the final stages of the game.